The instructions here are very slim, because you're basically seasoning and dressing a burger the way you normally would but replacing some ground beef with ground bacon. It's critical that you use really good, flavorful bacon because the flavor is going to be prominent in this burger. Using a meat grinder or blender, grind the bacon. 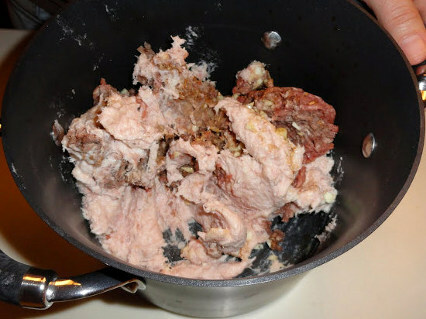 Mix your ground bacon with your ground sirloin until they're well mixed. Flavor with your seasoning of choice. I used some minced fresh garlic and Weber's Gourmet Burger Seasoning. 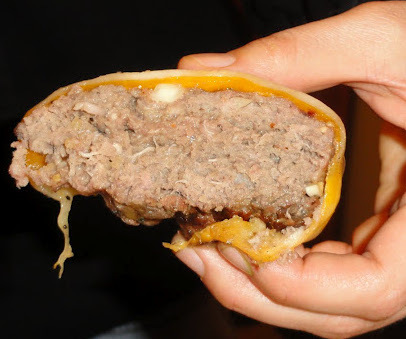 Form your meat into patties. I made 6 patties from my meat. 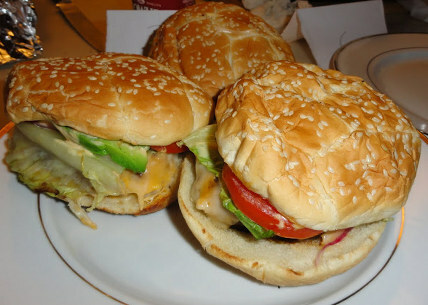 If you are grilling your burgers (which I'd recommend), I'd suggest making 4 larger patties. The fat dripping off the burgers as they cook causes a good deal of shrinkage. I can't offer you any skillet or oven cooking tips. They cooked for about 20 minutes on the grill. 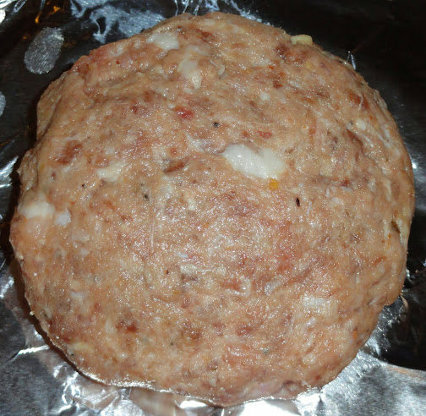 Make sure that your burgers are well cooked, it's dangerous to eat raw pork. Once your burgers are done, dress them how you like your burgers. I melted a slice of jack cheese and a slice of cheddar cheese and finished it off with lettuce, tomato, pickle, onion, and avocado.